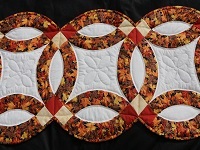 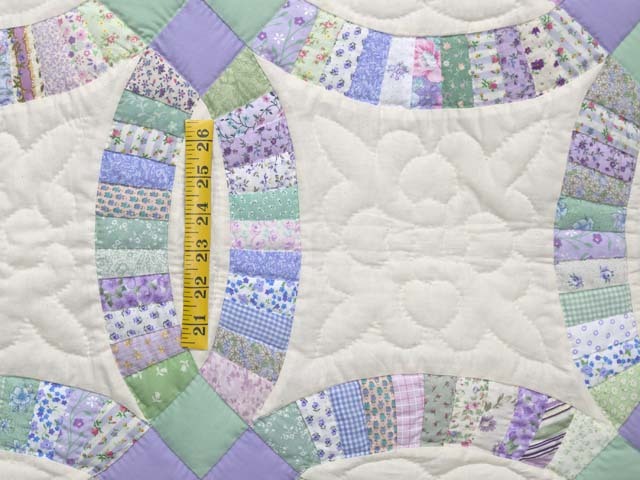 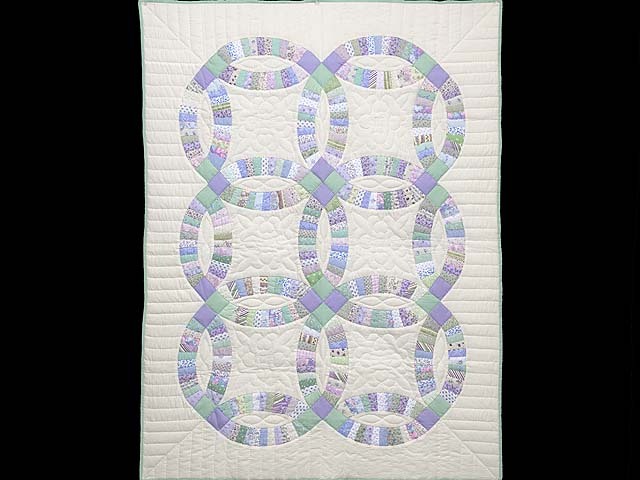 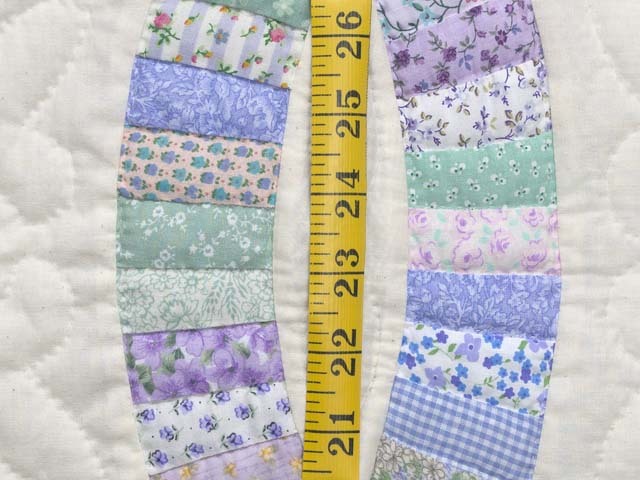 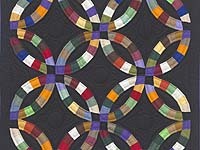 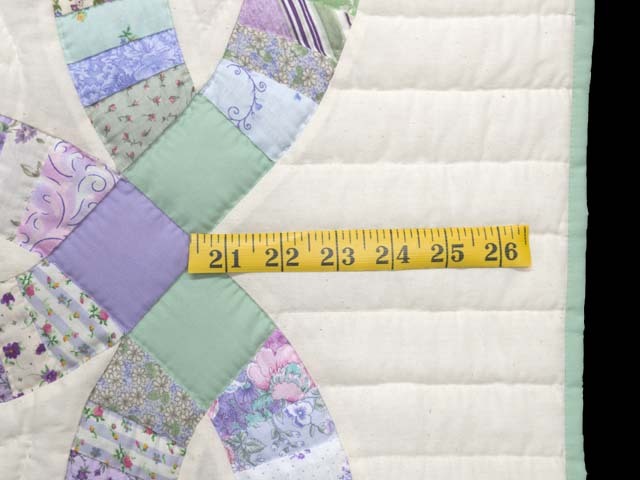 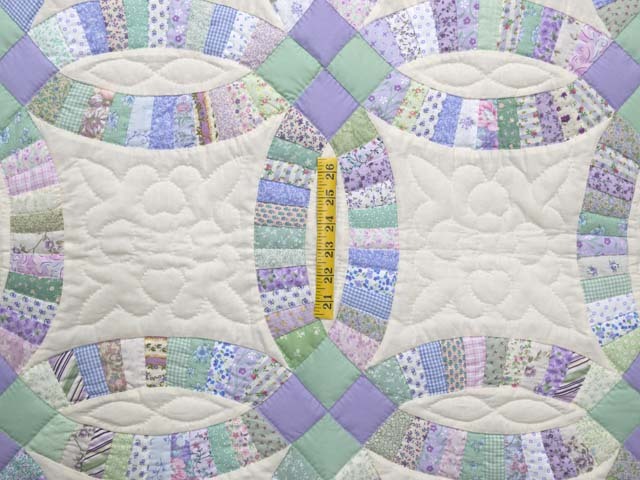 An exceptional little double wedding ring quilt with soft pastel coloring and very tiny patchwork pieces. 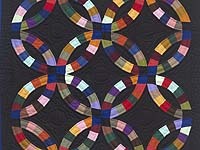 Note the abundance of quilting. 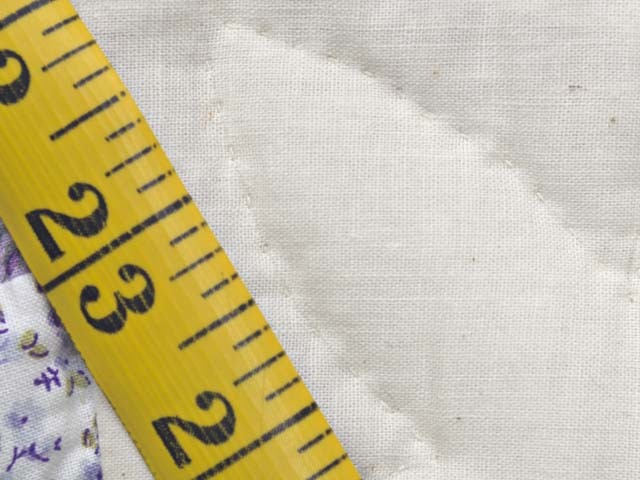 The slightly rustic soft cream white muslin background fabric gives it an antique look. 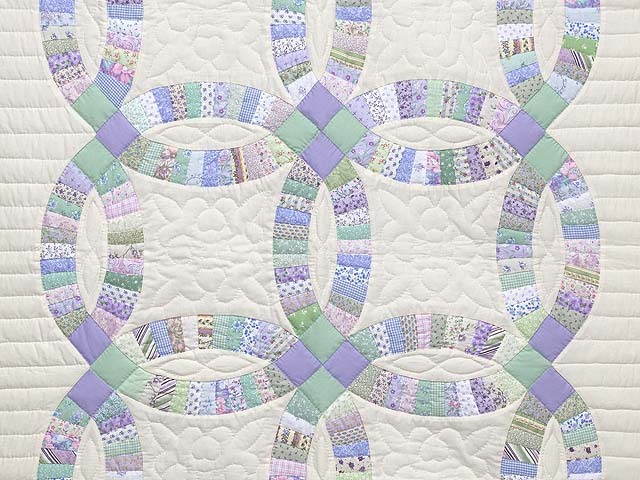 A crib quilt that will comfort generations of happy babies!